Where Do Stem Cells Come From, How Are They Used and Why Is This Research Controversial? Ciaran Finn-Lynch is an iPad expert. He is also a boy who was born with a narrow windpipe, which made breathing almost impossible. Many people who suffer major airway disorders were previously considered untreatable; the windpipe irreplaceable. Doctors inserted a metal tube into Ciaran’s windpipe to hold it open, but at age 11, this remedy started to affect his body in adverse ways. In 2010, Doctors at the charitable Great Ormond Street Children’s Hospital in the Bloomsbury area of London used a combination of stem cells and donated tissue—a tracheal transplant of sorts—with the theory that it would build a new windpipe. Inside his body, new stem cells multiplied and developed into cells that would normally coat the windpipe. Since the stem cells came from Ciaran, they stopped his system from rejecting the new organ. Ciaran seems to have had a successful operation. Stem cells are only visible with a microscope. They are found in our bone marrow or blood and have special properties. You can think of them like little “cell factories”because they have the ability to make new cells, and even different types of cells. Most cells carry out jobs and build living things; they can divide and create new cells too. 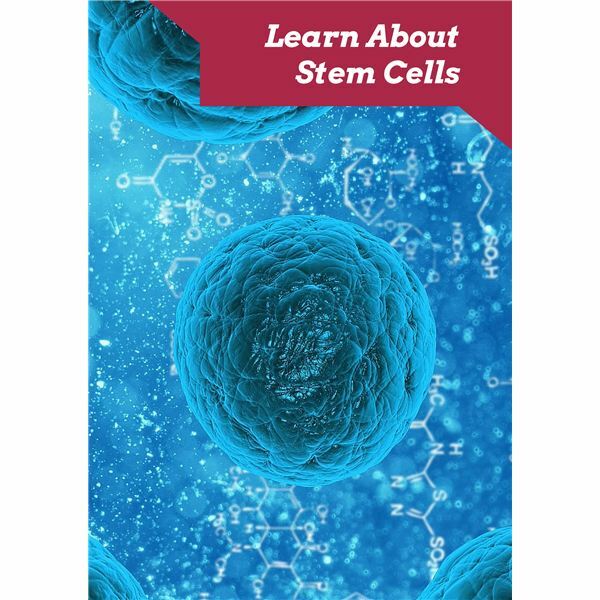 Through research, scientists found that stem cells are different from other cells because they are unspecialized. This means that not only can they renew themselves through cell division, but they also have the potential to replicate a cell with a more specialized function such as a red blood cell or even a brain cell. For example, in certain conditions in some organs, they can divide to repair and replace worn out or damaged tissues. This is referred to as stem cell therapy. In the late 1800s, a German scientist named Hans Driesch separated the cells of a two-celled sea urchin embryo. He shook it apart, put them in a careful environment and watched as each cell developed into a new embryo and eventually into a new sea urchin, thus creating twins. Ernest McCulloch and James Till were two scientists who worked together on research related to leukemia under the umbrella of the Ontario Cancer Institute in Canada. At the time, scientists believed radiation “melted” away cancer cells while leaving normal tissue intact. In the early 1960s, while experimenting with the injection of bone marrow cells into irradiated mice, they discovered that adult stem cells had special properties. British scientist Martin Evans first proved that stem cells from mice embryos could become any type of fully developed cell and tissue in 1981. His work earned him a Nobel Prize in 2007. U.S. scientist Gail Martin was one of the first researchers to extract stem cells from mouse embryos and the first scientist to isolate embryonic stem cells, a term she coined. Not only that, but she discovered how to keep them alive with the use of a Petri dish (a sterile environment used for growing cells). However, “copy cells” have limited use and then they die. For example, red blood cells are active for about four months; white blood cells have just days. Diseased cells have a problem with their genetic information; they give bad instructions on how to grow and function and, with continued disease, they become damaged or destroyed. A fault in one type of tissue or organ can affect the health of a person’s entire body. Cancer is one disease where the cells divide without stopping, spreading to surrounding tissue. They become abnormal, spread to other cells—malignancy—and form tumors. Doctors have used adult stem cells to treat certain diseases. For example, did you know in the 1950’s the first bone marrow transplants—the soft tissue at the center of a bone—were the first stem cell therapy? Typically, the bone marrow stem cells are taken from a relative and transplanted inside the patient’s body where it makes healthy blood cells. Until recently, scientists primarily worked with two kinds of stem cells from animals and humans: embryonic stem cells and non-embryonic adult stem cells (or somatic). Scientists use the term “somatic” stem cell instead of adult stem cell because they are body cells that make up organs, fat, bone, skin, and so on and exclude germ cells, sperm or eggs. Scientists now know that embryonic stem cells can differentiate into all of the specialized embryonic tissues (remember “little factories?”) also referred to as pluripotent stem cell because it is essentially a blank cell that can be programmed to become any type of cell in the body. While the primary role of somatic stem cells in a living organism are to maintain and repair the tissue in which they are found, they replenish specialized cells and maintain the normal turnover of regenerative organs, such as blood, skin or intestinal tissues. Stem cells are also found in the tissues left over when a baby is born, generally in the umbilical cord. Cord blood stem cells are collected and used to treat a few blood diseases. This type of stem cell therapy is most frequently used for children, because not enough cord blood stem cells can be collected to treat adults. Adult stem cells can be taken from tissues without harming the donor, whereas stem cells from embryos must be extracted when the embryo is a few days old, destroying the embryo. Most stem cells today are from spare embryos that are no longer needed for in vitro fertilization (IVF). This is a technique of fertilizing a woman’s egg in a lab to put them into her womb so a baby can develop. Scientist James Thomson became world famous in 1998 when he grew stem cells from human embryos in the lab. He feels it is better to use spare IVF embryos for research than to just throw them away. Many groups think the destruction of embryos is wrong. Antiabortion activists protest the use of stem cells because they feel life is created as soon as the egg is fertilized and that each human embryo has the moral status as a baby and should have the same rights. Politicians wonder whether this type of research should be federally funded. There are arguments on many sides as to what is ethical or fair. People’s moral beliefs are sometimes guided by their religion, for instance, the Catholic Church opposes destroying innocent human life at any stage. Not all Catholics agree however, and politicians often enter into the debate with their own moral perspective. This issue holds the media’s attention because it offers hope for people with diseases that are difficult or impossible to treat and because it is so controversial. Technical, ethical and political issues have always clashed. Scientists worry that rushing the debate on stem cell therapy will negatively affect future research. In recent news (2006), scientists learned how to stimulate a patient’s own cells to behave like embryonic stem cells. They identified conditions that would allow some specialized adult cells to be reprogrammed genetically to assume a stem cell-like state. This new type of stem cell is called induced pluripotent stem cells (IPSCs). This research follows their previous success in transforming monkey skin cells into embryonic stem cells in 2007. Very recently, scientists at Oregon Health & Science University and the Oregon National Primate Research Center (ONPRC) have successfully reprogrammed human skin cells to become embryonic stem cells capable of transforming into any other cell type in the body. They hope this discovery holds the promise of replacing cells damaged through injury or illness. It might also negate the debate on ethics, but open up a new controversy about the ethics of human cloning. Ruse, Michael and Christopher A. Pynes. The Stem Cell Controversy: Debating the Issues. Amherst: Prometheus Books, 2003. Book. Miller, Adam, et al. What is the Controversy over Stem Cell Research? Chicago: Raintree, 2012. Book. Park, Alice. The Stem Cell Hope: How Stem Cell Medicine Can Change Our Lives. New York: Hudson Street Press, 2011. Book.